So I consider myself a kind of cheap flight finding guru, and I'm often asked by my friends how much a certain flight should cost, or how to know when you're getting a good deal. They ask what sites I use, and how far in advance to book flights. 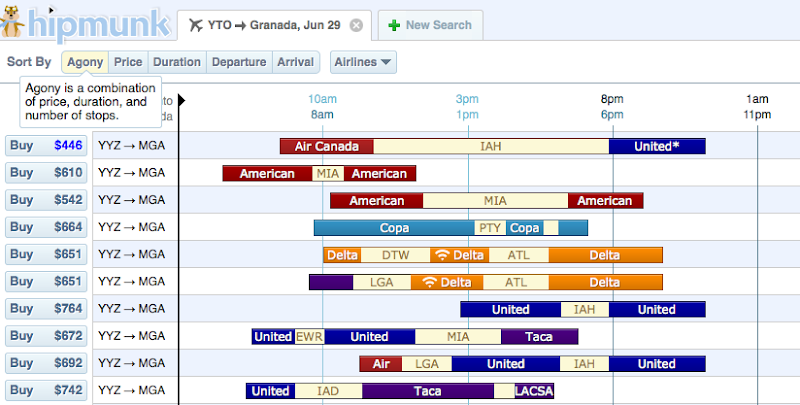 Here I'll share some of my flight booking philosophies, as well as some of my favourite websites for booking flights. First, I remember reading something a while ago that said when you get on a flight, it's unlikely that anyone else paid the exact same price for their ticket as you did. 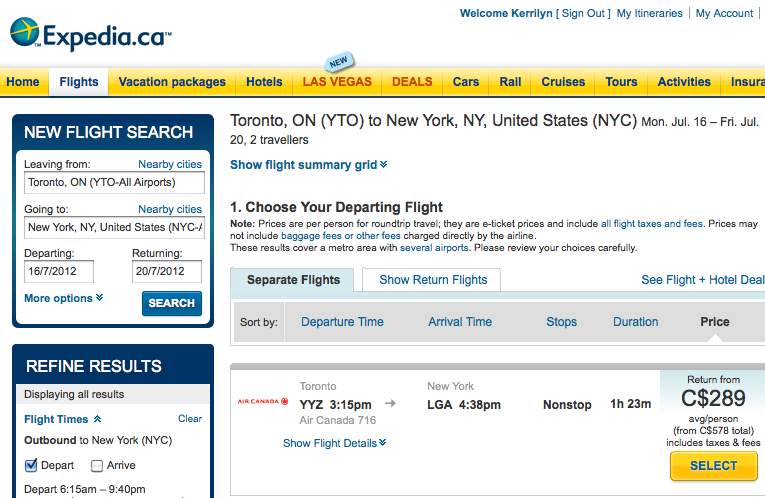 That being said, there is always flexibility when it comes to buying plane tickets. It's important to browse early for flights you want to take. I also advise you to click the "my dates are flexible" button when checking flights, because sometimes there can be a large change in price just a day or two around your chosen date. Also remember that flights on weekends are usually much more expensive than weekday flights. If you can handle the geeky details - which I love - check out this interesting article by Fare Compare which thoroughly explains why Wendesday is the cheapest day to fly for domestic flights in Canada and the USA. Before you book your ticket, it's important to check more than one site. It's easy to just type your desired destination into Google and hope for the best, but you'll probably have more luck looking for flights directly on a few good sites. Browsing a few sites can show you a great variety in price and help you find a better flight. 1. Hipmunk - I haven't been using this site for long, but I fell in love at my first search. This site easily calculates all of the flights for your destination in seconds, without opening annoying new tabs or windows. You can easily browse through the flights to find the cheapest and most comfortable flight for you. I am currently booking a flight to Nicaragua to meet my dear friend Brenna, and I'm not looking to arrive too late in the evening, so I've organized the flights according to arrival time. The best part of this site is that all of your browsing and comparing and clicking happens in one page which helps keep your flight options organized and easy to compare. Organizing flights by "agony" is one of the best features of Hipmunk: price, flight time, and stopovers are all calculated together into overall convenience. 2. 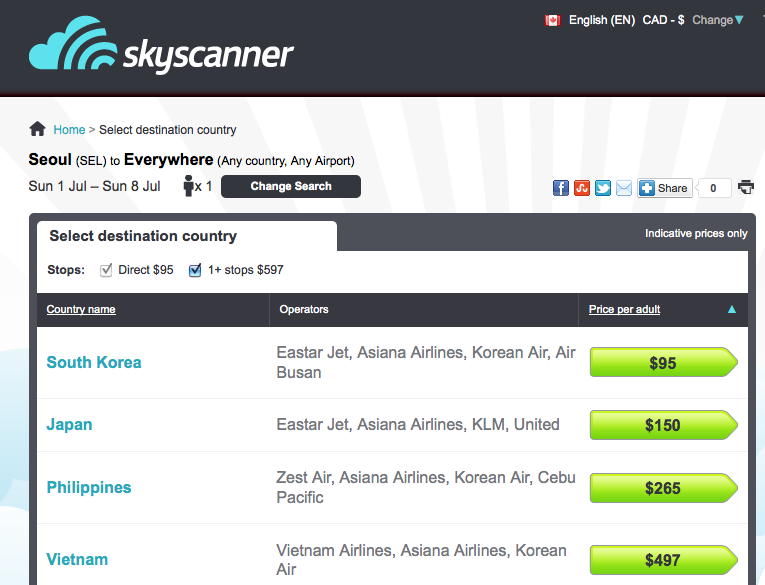 Skyscanner - I like using this site more for browsing than for booking, because of one special feature. This site, unlike others, allows you to search for flights going "everywhere", which really opens up travel possibilities for someone like me. I have vacation time here in Korea, and many cities and countries appeal to me, so sometimes the best way to choose where to go is to see where the cheap flights are. 3. FlightAware - Here is another site that I like to use to get ideas for where to fly. It's also a good site for learning all the destinations your favourite airlines fly to. My personal favourite airline is Korean Air (though I have an Asiana flight coming up on Tuesday about which I've heard only wonderful things). 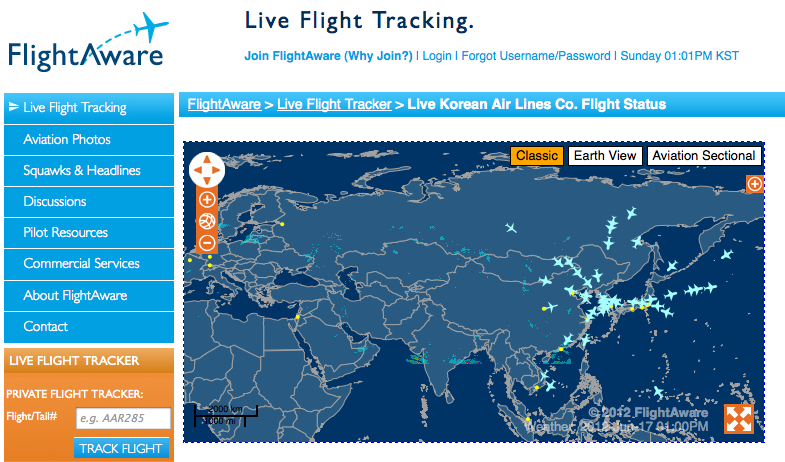 I've clicked "Live Flight Tracking" for all current Korean Air flights, and right now there are 55 flights operating. I didn't realize Korean Air flew to Auckland. Good to know for the next winter break! 4. Expedia - I've been using this site since I started flying regularly, way back in 2002 when I went away for university. 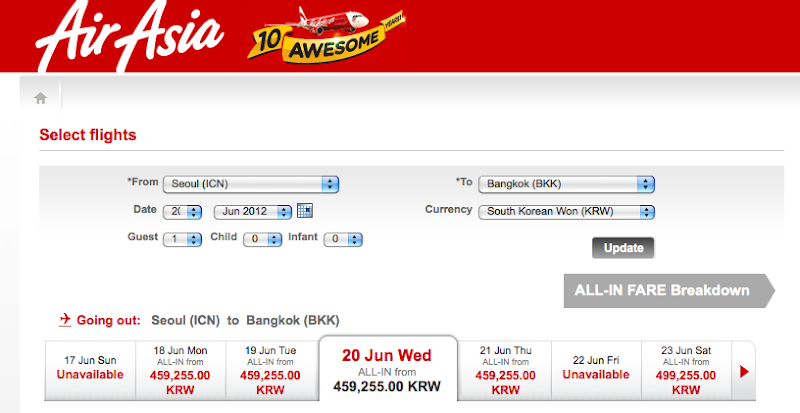 It was one of the most useful sites for me back then, as I could compare flights and book all within the same site. Upon logging in, all of your details and cards are automatically filled in, which helps when you fly frequently. I've now used this site for domestic flights in Canada, overseas flights to Europe, as well as for booking flights in Asia. The option to search for flights in "nearby cities" can be helpful when your travels are open, as mine usually are. 5. Air Asia - This site and I have a good relationship, most of the time. I can usually book flights easily, but sometimes the site has internal errors which cause the page to close while waiting for a purchased flight to be confirmed, which is suuuper frustrating. This happened once when I was booking a ticket from Bangkok to Yangon, and after an hour of sweating and screaming I was able to book my desired flight. For booking flights in Asia, this site does offer some of the best deals I've seen, so I'm willing to put up with the occasional site errors to get a better deal. One good point about Air Asia's site is that it shows you the flight differences for the dates surrounding your chosen date automatically, to help you tailor your dates to the best rates. There you have it kids! My favourite sites and favourite ways to search for good flight deals. I hope I've given you some good ideas for sites to browse. Now I want to hear from you. 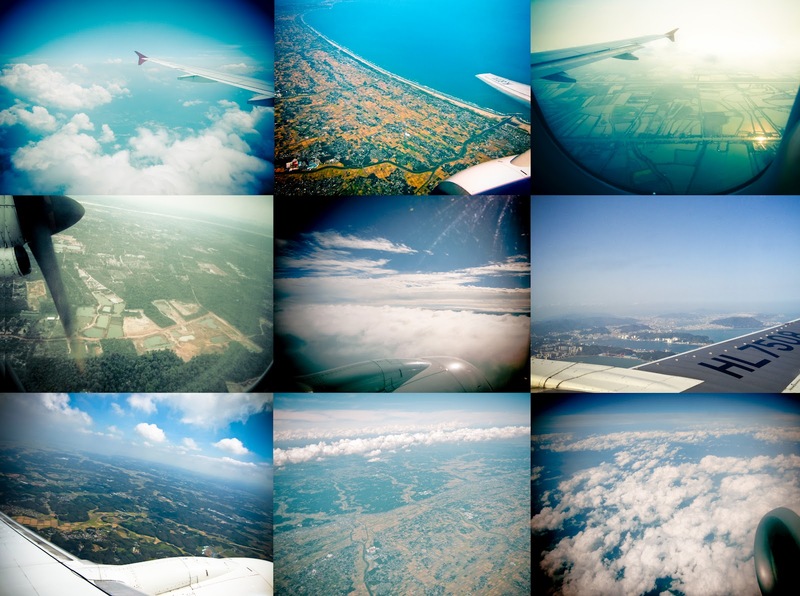 What site do you visit first when you need to book a flight? Post your answers as a comment here, or directly tweet them to me on Twitter!